New Fylde Futures (NFF) provides a fantastic opportunity for young people aged 10-18, from the Fylde area, to take part in FREE organised football sessions delivered by Blackpool FC Community Trust coaches. The project was set up by Blackpool FC Community Trust and the New Fylde Housing association in response to local communities requesting evening activities for young people in the Fylde area. NFF has been running for over two years and has contributed greatly towards the significant reduction of anti-social behaviour across the area. 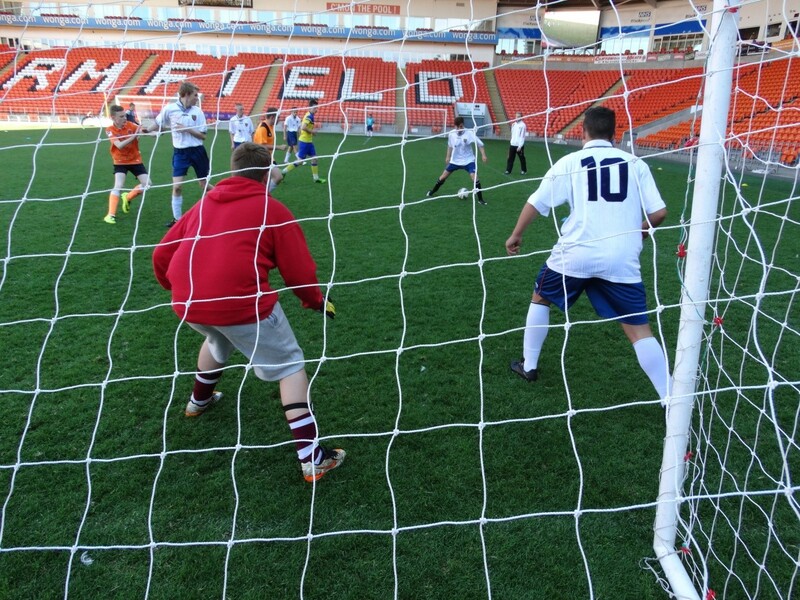 An annual tournament takes place every summer providing once in a lifetime opportunity to play on the Bloomfield road turf. The tournament offers competitive games for Blackpool FC Community Trust teams from the New Fylde Futures and Premier League Kicks projects. Sessions run all year round and participants are rewarded with free Blackpool FC game tickets for committed attendance and outstanding behaviour. For further information about New Fylde Futures or the Premier League Kicks Project contact Blackpool FC Community Trust on: 01253 348691. This entry was posted in Latest News on September 24, 2014 by Jack.